All our surveys are free of charge and non-binding. Our surveyor will examine all aspects of the Solar Thermal (Solar Hot Water) installation like roof conditions, mounting system, possible cylinder change, pipe run, pump station positioning etc. He will then discuss all the relevant points with the house owner and talk through the various options of the installation plan. 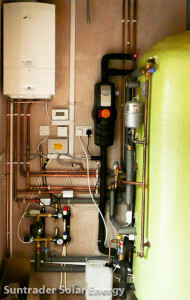 A domestic installation takes normally 2 to 3 days. If the hot water cylinder needs to be changed we will inform you about the expected time the hot water supply is going to be disconnected. After Suntrader has completed the installation work we will commission the system. 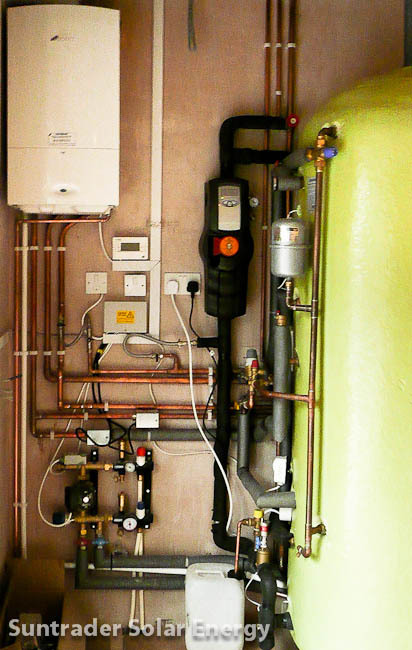 Once completed we will then undertake the handover where Suntrader will explain the functioning of the system and provide all the documents necessary for your (RHI) Renewable Heat Incentive .